Image: franckreporter/Getty Images. Design: Ashley Britton/SheKnows. For years, everyone from medical providers to celebrities have rallied to raise awareness about postpartum depression. Now it has become common knowledge that the physical, emotional and hormonal changes a person endures after they gives birth can be more than just the “baby blues,” but a serious medical condition that merits screening, assessment and treatment. However, it’s just as important to acknowledge that these changes can occur well before a person gives birth. Though stereotypes suggest that pregnancy should be a buoyant, exuberant time of dewy skin, perfect hair and floating on a lily pad (what’s a little morning sickness here and there? 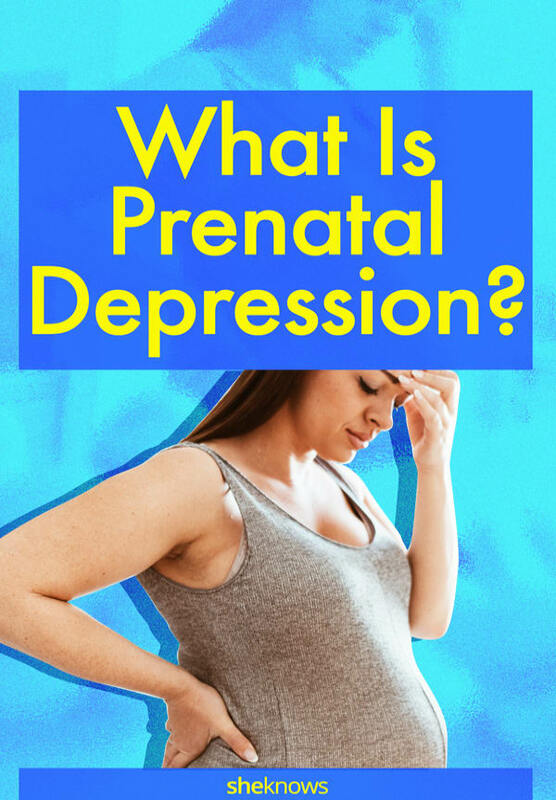 ), prenatal depression is also a very real condition. What does prenatal depression look like? An estimated 15 to 20 percent of pregnant people experience depression and anxiety according to Alisa Kamis-Brinda, a licensed clinical social worker and owner of Serenity Solutions, which provides specialized psychotherapy for perinatal mood and anxiety disorders, anger management, anxiety management and addiction. 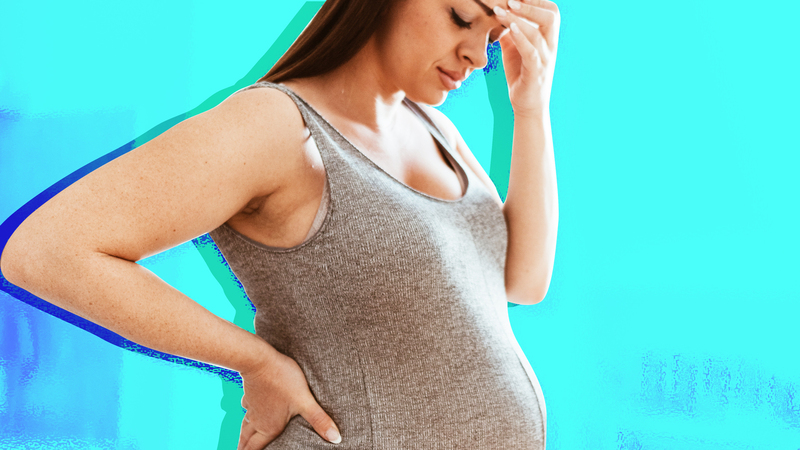 Many of the symptoms of prenatal depression are like the symptoms of depression and anxiety disorders that aren’t associated with pregnancy or the postpartum period, Kamis-Brinda tells SheKnows. “These symptoms include feelings of sadness and depression; crying spells; loss of interest or pleasures; sleep or appetite changes unrelated to the pregnancy; poor concentration and focus; hopelessness; helplessness; feelings of guilt, shame or worthlessness; and suicidal thoughts [among others],” she explains. Who is most impacted by prenatal depression? There are so many social and cultural expectations of pregnant people and mothers in general that some may feel too guilty or ashamed to acknowledge that these physical and emotional symptoms might be depression. The old chestnut that it “takes a village” to raise a child applies to protecting the health and well-being of parents-to-be as well. “You cannot tell just by looking at a new mother if she is depressed for not,” Jamie Kreiter, a licensed clinical social worker, tells SheKnows. Kreiter says that a pregnant person's partner, family members and friends should listen carefully to how that person describes themselves and their feelings. How is prenatal depression treated? Kreiter says that she’d also like to see a broader systemic change across the medical field to better identify and address maternal mental health issues. For Kreiter, diagnosing prenatal depression early is so important because “perinatal depression and other perinatal mood and anxiety disorders are very treatable.” She says that her clients do well with cognitive-behavioral therapy and interpersonal therapy, which are both evidence-based treatment methods. Talk therapy is a popular option for prenatal depression given that some psychotropic medications (though certainly not all) might not work for pregnant people. Kayce Hodos is a specialist in maternal mental health, and she tells SheKnows that she recommends that pregnant people specifically seek out “a mental health clinician who understands perinatal mood and anxiety disorders,” develop a good self-care routine, shore up their social support and take any physician-prescribed medications. Finding the right treatment team is essential for feeling better. “A good OB-GYN will be informed about screening for prenatal depression and happy to collaborate with a counselor and other community resources,” Hodos says.